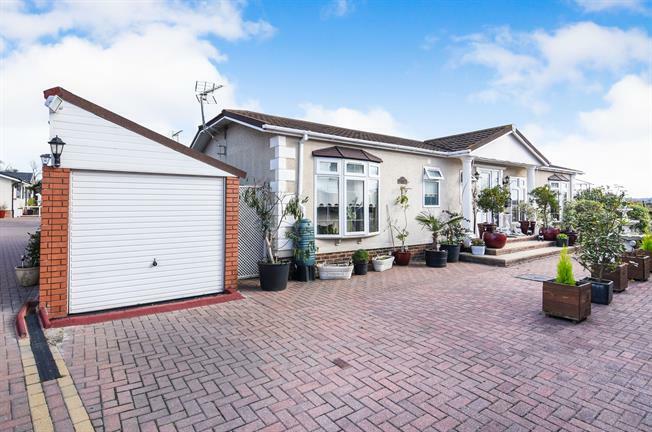 2 Bedroom Mobile Home For Sale in Wickford for Asking Price £290,000. A beautifully presented waterfront park home on the ever popular Hayes Chase park. The accommodation comprises of an open plan kitchen breakfast area, a wide sitting room opening onto the decking with panoramic views. Two double bedrooms with en suite and dressing room to the master, and a modern fully tiled family bathroom with a quality bath. Unlike most others, this property features a garage.